Being creative with words. The picture book writers tool kit. A picture book writer’s tool kit is awesome, it’s why I write picture books. Playing with these techniques is great fun. Remember, picture books are meant to be read out loud. So go to town – bold and wacky is good. But remember the audience. Keep the concept and structure simple. And short! There is some negativity in the industry about rhyme because of the difficulties of translation. The bigger publishers are more accepting of rhyming stories but the story has to be original and the rhyme perfectly structured and metered. An appreciation and understanding of the techniques of rhyming poetry is essential if you are going to attempt a whole story in rhyme. If you don’t know what I mean by meter, foot and stressed/unstressed syllables, don’t attempt rhyme. There are so many easier techniques to use that are just as effective. One option is to write the story predominantly in prose but have a short chorus in rhyme. See, The Ginger Bread Man. Consonance is the repetition of the same consonant two or more times in quick succession. E.g. pitter-patter, Chicken Licken. Every sentence we speak has syllables that are stressed and unstressed. Rhythm is a pattern of stressed and unstressed syllables within a line of verse or prose. Rhythm and rhyme are natural partners but rhythm works fine on its own. The king of rhythm without rhyme is Michael Rosen. Check out, We are going on a Bear Hunt, and Little Rabbit Foo Foo. The Bear Hunt has a chanting feel to it. An ear for music/poetry really helps here. Often used alongside rhyme and rhythm (as a chorus or refrain) but also appears in narrative texts to give structure and emphasis. Breaking a repetitive pattern as the story climaxes, flags to the reader/listener something exciting is about to happen. Children learn through repetition. They find familiarity reassuring and comforting. Is the attributing of human qualities to an animal or object. Okay there are lots of animals in picture books but not so many objects. 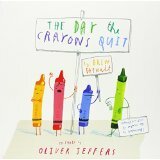 A recent hit is, The Day the Crayons Quit by Drew Daywalt. Each crayon writes a letter to Duncan, each has a distinct voice. 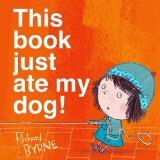 Exaggeration is everywhere in picture books – language, art and character. Roald Dahl’s characters are a perfect example. 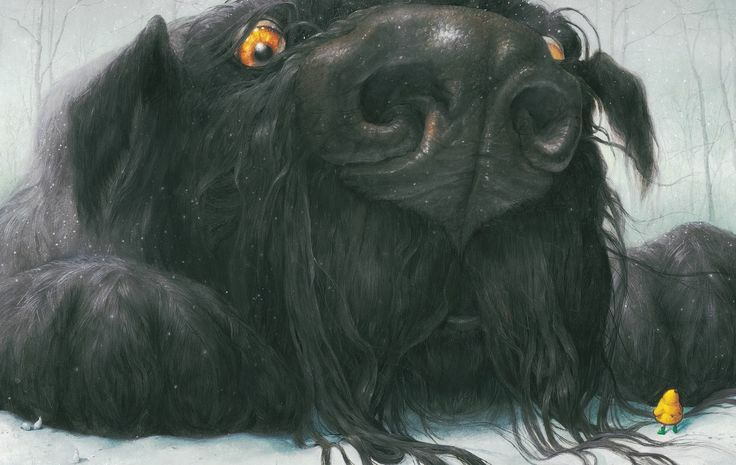 Also check out Levi Pinfold’s Black Dog. The illustration of the black dog literally spills off the page. He’s big! I love overblown concepts, for example, The Incredible Book Eating Boy by Oliver Jeffers. You want to read about him don’t you! Children love to name their pets and toys, even if that name is very simple. Hands up how many of you own a toy called Bear or Rabbit. It is not necessary to write it in the story The child can see perfectly well it’s a Bear from the picture. So whether you go with Boy, Mr. Tiger or something more imaginative such as The Almost Fearless Hamilton Squidlegger by Timothy Basil Ering (a frog), the most important thing is that your character has character and attitude, after all, most three year olds have plenty. Remember if the name is unique, it’s memorable and ownable – alas this kind of light bulb moment doesn’t happen everyday. Titles encapsulating the story’s main character or the theme are great – but if standout is an issue, think about these alternative approaches. There are no rules about tense, go with your instinct. Try them out and see how it changes the story. Present tense feels immediate, faster paced, the story is happening now. I use this for action-packed or wacky stories. Past tense is more traditional, we are being told a tale so it feels slower paced and cosy. Perfect for reassuring bedtime stories and traditional narratives. Who’s telling the story anyway? The narrative voice is the traditional form of story telling. Most picture books are told this way and the narrator tends to stay in the main characters head. I or we can be told in rhyme, narrative, letter or diary form. There’s lots of scope for originality in the first person and it’s all about voice. The Day the Crayons Quit is composed of seven letters written by the seven crayons. Each Peach Bear Plum, I spy Tom Thumb, is a rhyme in first person. The storyteller invites the listener to spy with them. 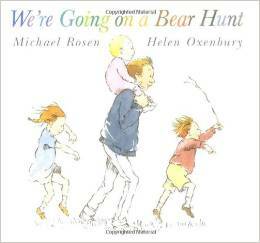 We’re going on a Bear Hunt is an adventure told by a family. 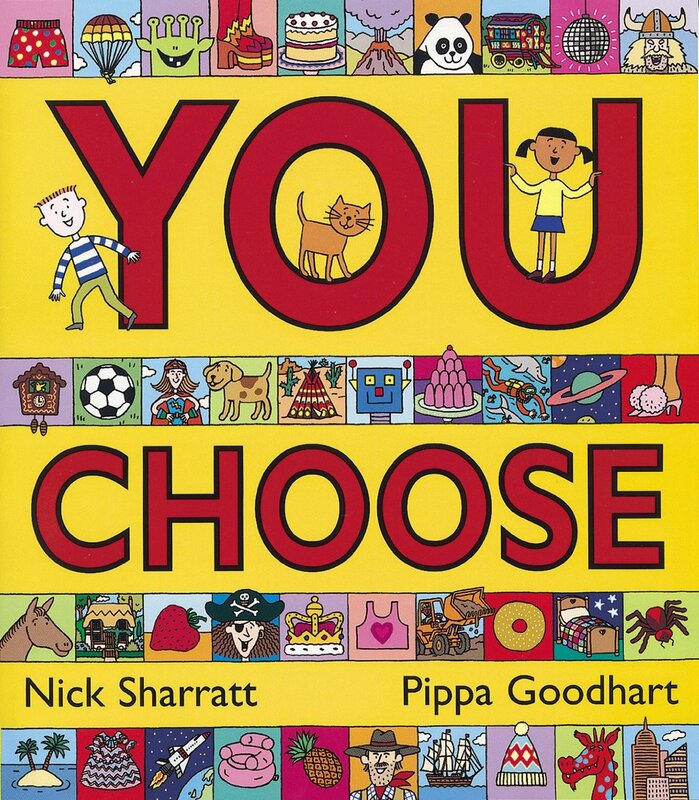 Using the You POV is a lot less common but why not consider it as an option, it involves the reader directly in the story and children love to participate. Lots of authors use this technique for titles e.g. How to Train Your Dragon, but the main story is written in 3rd person. I can only think of You Choose, as an example of a current second person rhyme. The simple rhyme repeats the invitation ‘you choose’ on every spread. I also remember the “Choose Your Own Adventure,” books from my childhood. In these books, the reader made decisions throughout the book about how the story should progress, so it was written with the reader as the viewpoint character. Don’t just think about the here and now. There’s a whole world (or universe) out there to set your story in. Real or imagined. Past, present or future. Mix it up a little. Phew. Have I missed anything out? Oh, yes! Lots of sticky notes, coloured pens and pencils, a decent eraser, a plain sheet artist’s notebook and a dictaphone or someone else to read it back to you, even a child if you have one handy. Ann Whitford Paul has written a very helpful book entitled, Writing Picture Books. Her explanation of meter and poetry techniques is particularly useful for the rhythmically challenged. It’s darn tricky I can tell you.